To purchase an individual copy of this issue, follow the link below. Use the reference V37I20 and a PDF will be emailed to you. If you wish to purchase a print copy, please email coha@coha.org with your shipping details and the reference V37I20. 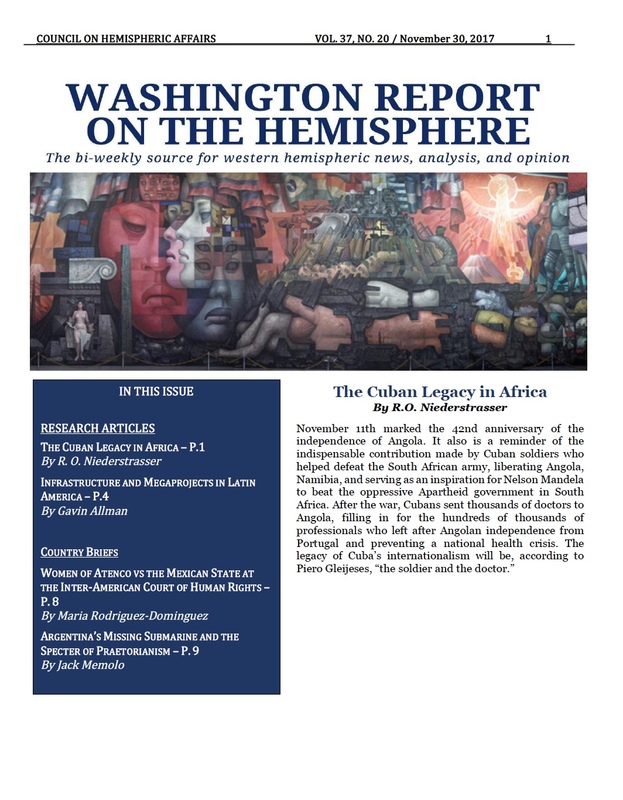 To subscribe to the Washington Report on the Hemisphere, click here. After the independence of Angola from Portugal, the US backed UNITA forces, together with the South African Apartheid army, the strongest and most modernly equipped in the continent at the time, tried to overthrow President Neto, who had developed ties with the Soviet bloc. In a desperate move he asked the Cubans for military support. The Cubans sent troops and later thousands of doctors and professionals to Angola in efforts to help with their independence. In the end, the Cubans helped not only liberate Angola, but also Namibia and served as an inspiration for Nelson Mandela in his fight for independence in South Africa. According to him it was the first time in African history where a country came to help and not to sack it. In total, Cuba sent humanitarian help to Algeria, Benin, DRC, Ethiopia, Guinea, Guinea-Bissau, Mozambique, São Tomé and Príncipe, and Tanzania. Many Latin American countries are facing decaying infrastructure systems, but the region depends on streamlined trade to grow markets for primary goods, low-tech finished products, and tourism services. With the commodity boom’s absence taking its toll on these industries, nations are turning to expensive, quick-fix infrastructure megaprojects to boost trade, despite the sizable debt many of them already carry. Costing billions of dollars and taking decades to construct, megaprojects could make or break economies throughout the Americas. On November 16th and 17th, 2007, a group of 11 female survivors of sexual torture by police forces, known as the Women of Atenco, took their case against the Mexican Government to the Inter-American Court of human Rights in San José, Costa Rica. They are still demanding justice for the violent events that took place in May 2006 in San Salvador Atenco in the State of Mexico. On that day, the state government under the command of current president Enrique Peña Nieto ordered the crack down of protestors that resulted in two people killed, many more injured and illegally detained. 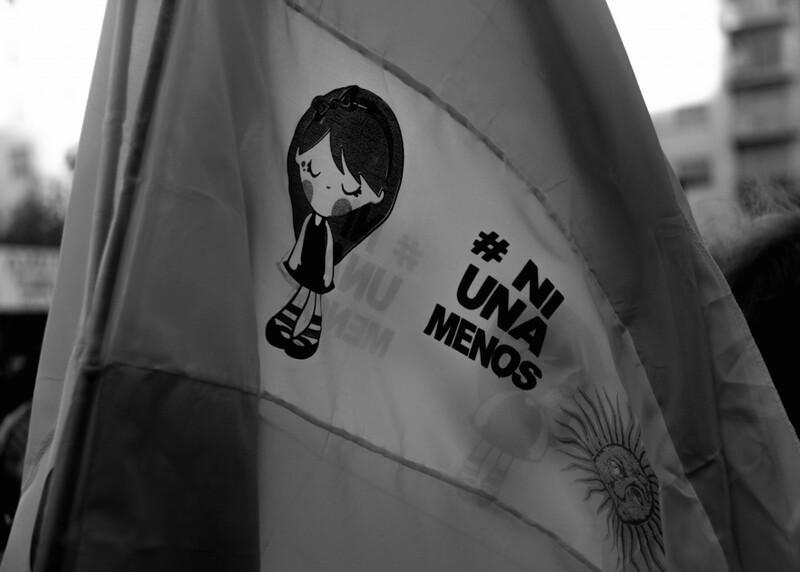 Among those detained dozens of women were subject to sexual torture by police forces. Although the Mexican Government accepted responsibility for the events since 2013, only 36 civil servants have been under investigation, while there bing no convictions, and to this date, no federal or high level officials have been asked to testify.